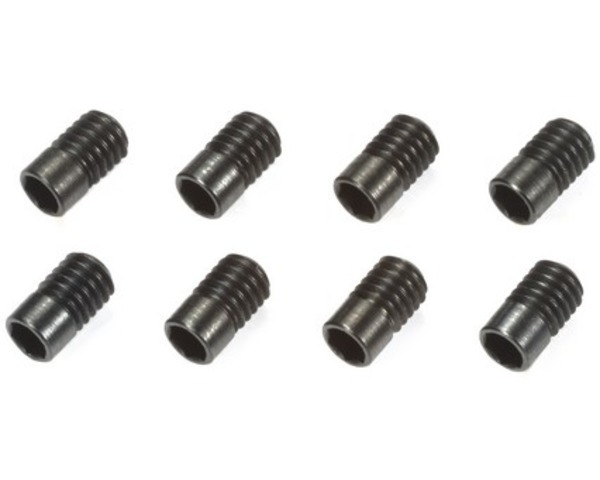 These handy hollow screws can be used in place of various standard 3mm screws on touring car kits. Doing so allows greater flexibility of the part attached, without the risk of the part moving out of position (which would be a worry if the original screws were simply removed). Compatible with R/C touring car chassis.